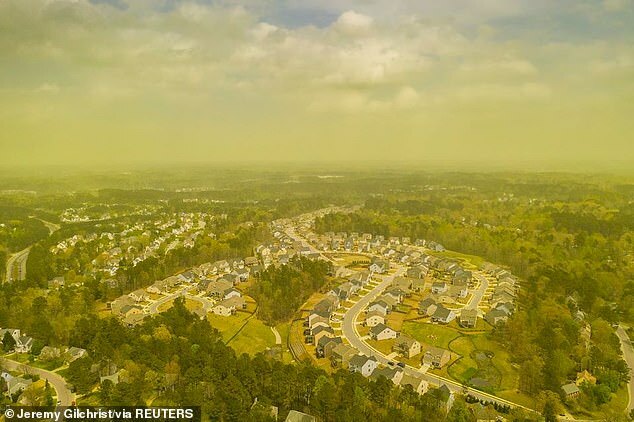 Experts say climate change with milder winters and much more rain is why pollen season is beginning earlier – with some suggesting that it could lead to people suffering from even worse symptoms in the future. Allergies occur when the body’s immune system views a substance as harmful and overreacts to it. Because pollen is microscopic in size – less than 0.007 inches – it can travel far distances and is easily inhaled, getting deep into the lungs. The reaction usually happens when pollen comes into contact with someone’s eyes, nose, mouth or throat. Most symptoms can be treated with over-the-counter antihistamines like Zyrtec, Allegra and Claritin, but these cost the US between $3.4 billion and $11.2 billion annually in ‘direct medical expenses’, reported Vox. 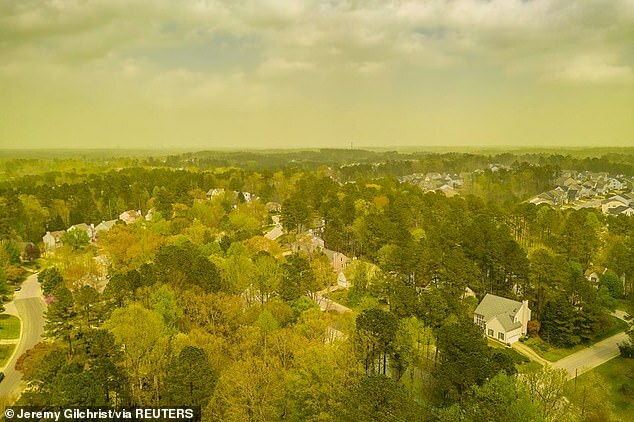 In recent days, parts of the US – particularly the Southeast and Midwest – have had such high counts of pollen that a thick haze has been seen covering the sky. By some estimates, pollen counts are expected to double – even triple – what they were in 2000. Scientists from Rutgers University calculated that average pollen counts in 2000 were around 8,500 grains per cubic meter of air. By 2040, it’s expected to reach nearly 22,000 grains per cubic meter of air. 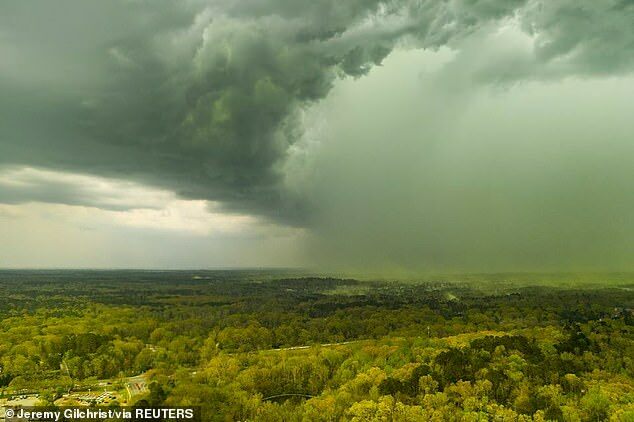 Dr Sandra Hong, a staff allergist at Cleveland Clinic, told DailyMail.com that climate change – including warmer and milder weather with heavy rains – is leading to more pollen being produced and for longer periods of time. ‘You won’t necessarily have more people suffering from allergies – because people are predisposed to that – but people’s symptoms will be significantly be worse,’ she said. Dr Hong recommends whether you’re in your house or your car to keep the windows close and use air conditioning instead. 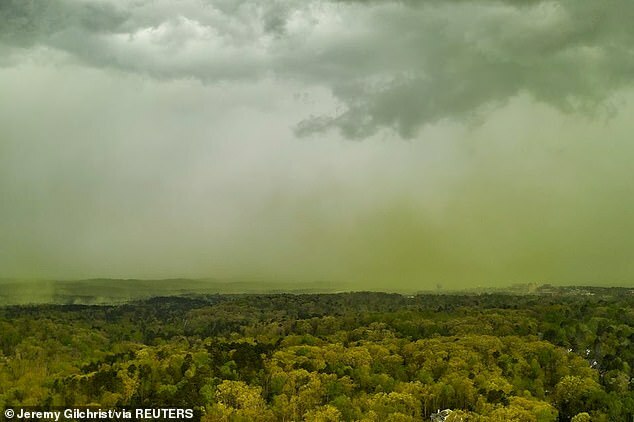 ‘I tell people to make sure that, if they have seasonal allergies, keep windows closed and the use the AC so that air is recirculated rather than bringing in pollen from outside,’ she said. ‘Pets coming in from outside can bring pollen in with them, so people with allergies can have increase in symptoms because of that,’ Dr Hong said. ‘If avoidance techniques and medications are not working, and they’re still doing worse, then they should go see a primary care physician or an allergist,’ Dr Hong said.